Drug Lawyers Sydney if you are facing charges or have been charged with a drug related offence call our expert Drug Defence Lawyers in our Sydney office. We have over 50 years experience our lawyers practice only in crime. Don’t take risks with your reputation, freedom or livelihood talk to us today. 02 9261 8640 24 hour advice. 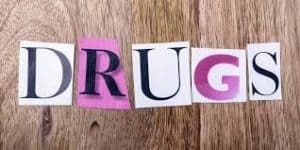 Drug offences in NSW – If you are charged with a drug offence, you will not automatically receive the maximum penalty – there are a variety of matters a court looks at to determine your sentence. You can, however, get an indication as to how serious the courts consider the offence by referring to its maximum penalty. You will be able to find this information in the relevant legislation, which in New South Wales consists of the Drugs Misuse and Trafficking Act 1985 (NSW) and the Customs Act 1901 (Commonwealth). If you refer to those acts you will see that maximum sentences for drug offences range from 2 years and 20 penalty units (one penalty unit, or pu, equals $110) for an offence such as possession, to a sentence of life imprisonment for importation. For major offences you can pay fines of up to $550,000, and be ordered to forfeit assets. Your solicitor will be able to go through with you the amounts of each drug that constitute the various quantities (ie. small, indictable, trafficable and commercial). These amounts obviously vary from drug to drug. Generally, however, the drugs to which the more serious sentences attach are heroin and cocaine. Mid-range sentences attach to amphetamines such as speed and ecstasy, and the lowest sentences attach to cannabis. Large amounts of low and mid-range drugs can still, however, attract significant penalties. To determine what offence/s you have been charged with, and the amount of drugs the police consider are involved, you can refer to either the charge sheet or the notice to appear, one of which the arresting officer will have given you. If you are given a notice, this is called a Court Attendance Notice (CAN), or Field Court Attendance Notice (FCAN). This notice will require you to appear before a local court in a few weeks. It is essential you appear at court as designated by the notice. If you do not, a warrant will be issued for your arrest. Alternatively, you will be charged and bail will be considered. If you are not granted bail, you will be remanded in custody. This means you will remain at the watchhouse and appear before the local court the following day. If you are granted bail, the bail form will state when you are to appear in court. Again, it is essential you appear at court on the date designated. Your bail form – or if you are not charged, your notice – will also tell you which court you are to attend. Make sure you know where the courthouse is well in advance. At this point it is a good idea to consult a lawyer. There is always a solicitor, called a duty lawyer, available to deal with simple matters before the local court. To receive detailed advice and representation at all stages of your matter, however, you will probably need to employ a solicitor. This is especially important if you are entering a plea of not guilty. When you do appear before the local court, your matter will either be dealt with by that court, or it will be sent up to the District or Supreme Court if it is a more serious type of offence. Your solicitor will let you know which will occur. The less serious matters are called summary offences, and even if you plead not guilty, you will be dealt with by a magistrate. This means your case will not go to a District or Supreme Court, and will not be dealt with as a trial before a jury. If, however, your matter is more serious, it is what’s called an indictable offence and it will be sent up to either the District Court or, for the most serious drug matters, the Supreme Court. Sending a matter for trial from the local court to either of these higher courts is called committing a matter for trial. Before this can be done, there is a hearing in the local court called a committal hearing. This is a type of mini-trial before a magistrate (no jury), who decides whether there is a case to be heard. The magistrate may consider the matter insubstantial and not commit it for trial at all, but this is rare. If you are charged with a minor offence and you decide to enter a plea of guilty, it is still advisable you get legal advice from a private solicitor. There are a variety of things the Crown must prove in order to convict you, and a solicitor is best placed to determine whether they will be able to do so. If you are entering a plea of not guilty, however, it is essential you receive legal advice. Your solicitor can advise you of your chances before the court, the details of the court process, and the likely penalties you will face if convicted. If you have been charged with a drug offence contact Sydney’s leading Criminal Lawyers today 02 9261 8640.